In the final days of 2018, AMOMED registered its new affiliate with the Italian Chamber of Commerce under the name AMOMED Pharma Srl and will be located in Milan (Largo Augusto 8, 20122 Milano), the capital of the Lombardy region in northern Italy. 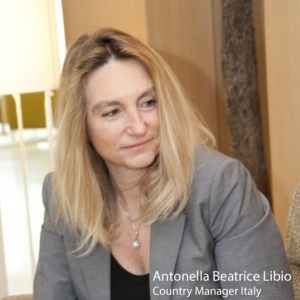 The office will be managed by Antonella Beatrice Libio, who will assemble a team of key account managers and medical scientific liaison experts. Antonella has extensive experience with the local market and has previously worked for us as a consultant. The team will make all efforts to establish AMOMED in the Italian pharmaceutical market as the preferred partner in critical care, not only because of our high-quality products but also with the individual service that we offer. EsmocardLyo – a cardio selective short acting i.v. beta-blocker for use in emergency and intensive care – active ingredient: esmolol hydrochloride – this product is distributed by our partner company Correvio. We will expand our product offering over time. You can find an overview of all of AMOMED’s products here. Antonella Libio as well as our international marketing team are happy to answer any questions about the appropriate use of these products as the correct application at the right time is essential for a successful patient outcome. If you are interested in getting more information about AMOMED or to receive information materials on our pharmaceutical products, contact us at office@amomed.com or +43 1 545 01 13 0.